Jan. 24 is National Peanut Butter Day. Arkansas peanut farmers planted about 26,000 acres of peanuts in 2018. 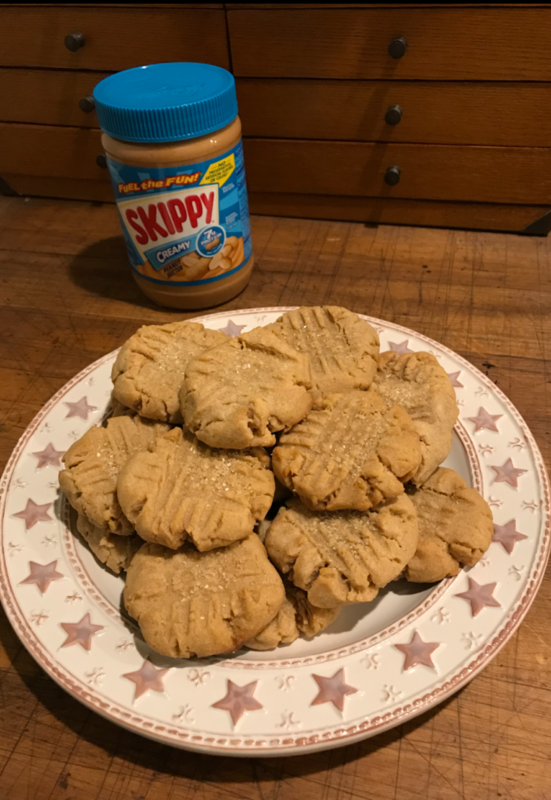 Little Rock is home to a Skippy peanut butter production plant. It produces 3.5 million pounds of peanut butter weekly, and about 540 peanuts are needed to make a 12-ounce jar of this all-American food. 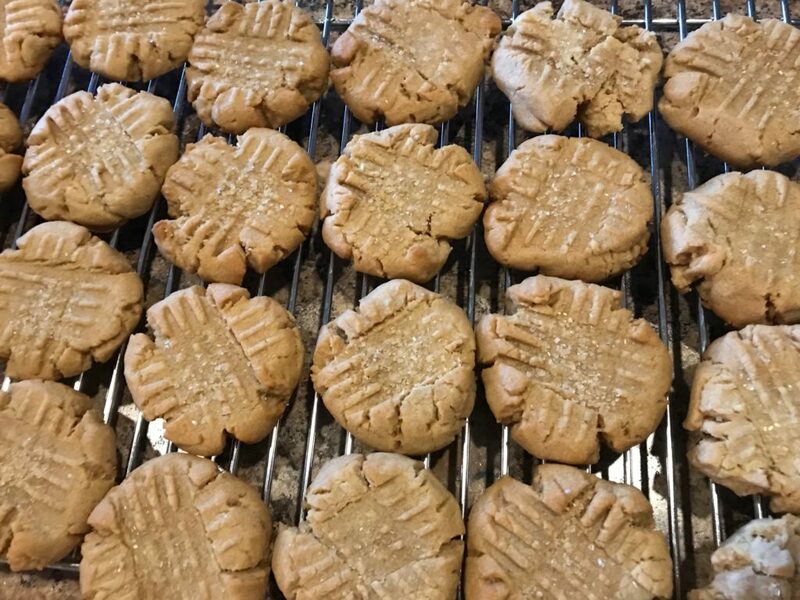 This cookie recipe’s roots come directly from a recipe found in “The King Arthur Flour Baker’s Companion.” It’s one of the best baking recipe books I’ve ever used. 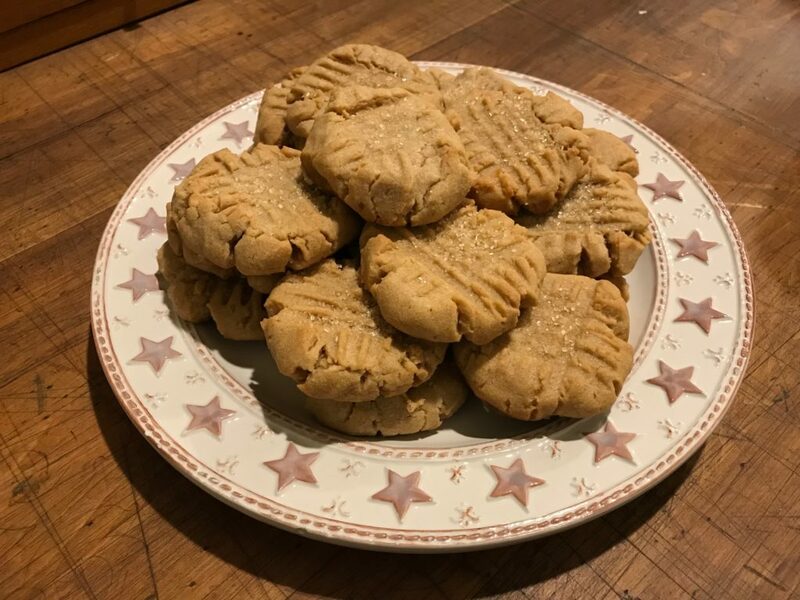 The only change I made to this recipe is sprinkling the tops of the fork-pressed unbaked cookies with turbinado sugar. The ridge-and-valley fork impressions easily catch and hold this large-crystal sugar, giving a little crunch to this light, perfectly textured, flavorful cookie. In a large bowl, cream together shortening, sugars, eggs, vanilla and peanut butter. Sift together flour, baking soda and salt then add it to the peanut butter mixture, stirring to combine. Drop cookie dough by the spoonful, making a ball, onto a greased baking sheet. Press down the dough with a fork twice, making a crisscross design. Sprinkle the tops of the cookie dough with turbinado sugar. 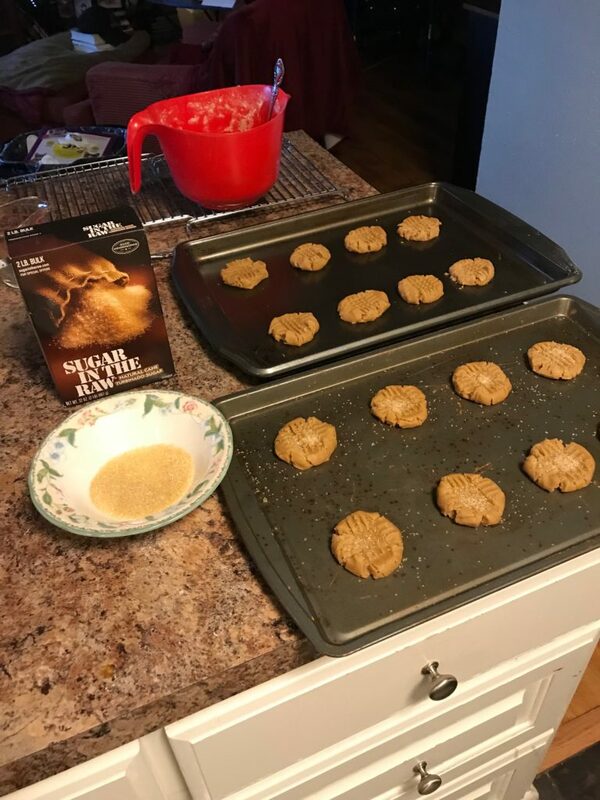 Bake cookies for 10 minutes or until lightly browned. Remove from the oven and cool on a wire rack. Spray the spoon you want to use to drop the cookie dough with a nonstick cooking spray. This makes it easier to get the dough off the spoon.